Generation III products have been perfectly designed to spread light evenly across the exit sign face. This evenness provides a high quality finish and ensures that as the luminance output reduces over the life of the product, the face will still comply to the minimum requirements of luminescence. High quality design ensures good lumen maintenance giving long service life. Great design also reduces unwanted effects caused by LED lighting. 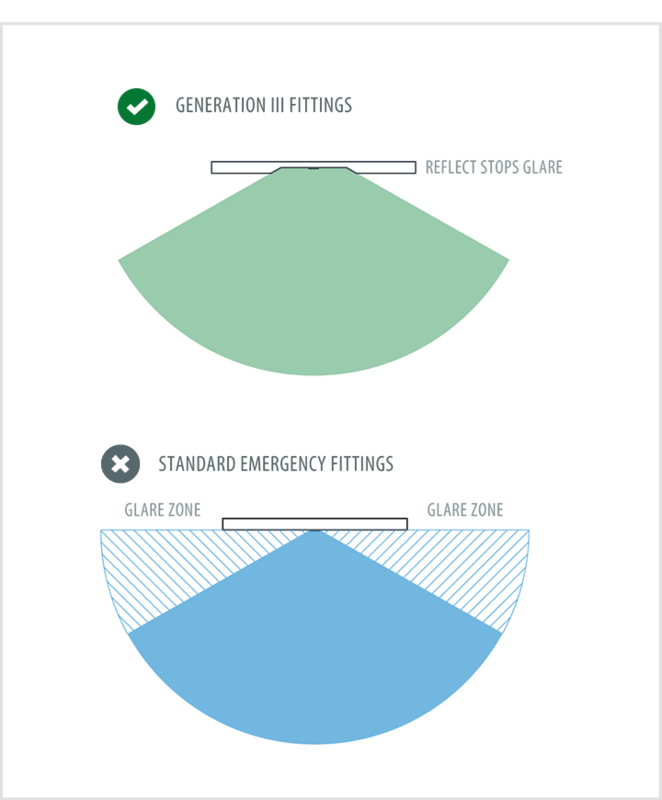 Generation III decals have been designed to provide a large reduction in the amount of external light reflected off the face. 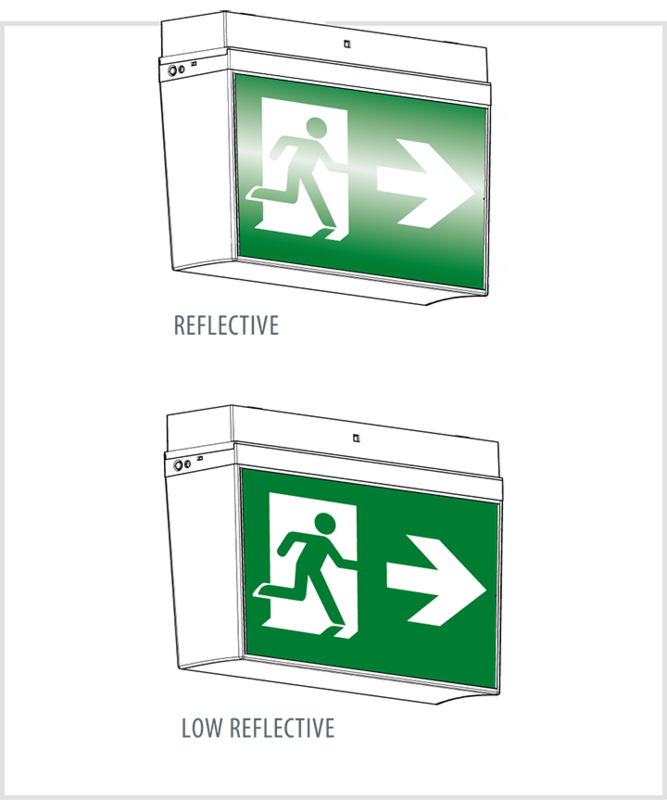 This reduction serves to ensure the decal can be seen even in the presence of close external light sources such as normal lighting and fire. A newly designed reflector on the Ledfire dish minimizes unwanted glare. The new reflector design also serves to increase light output optimizing performance.